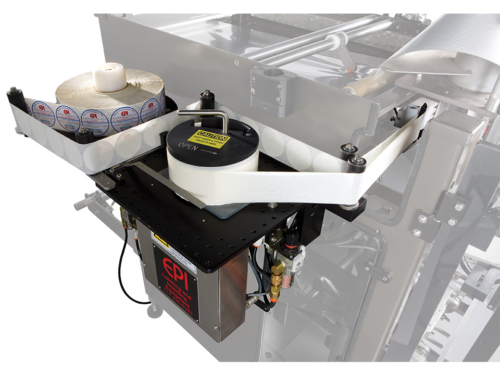 The ID Technology Model ST1000 is a full featured label applicator with variable speed motor that achieves speeds up to 1,000 inches of label web per minute. 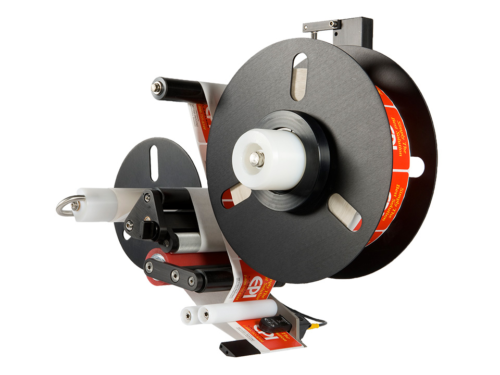 Like other ID Technology engineered equipment, the Model ST1000 label applicator has a modular, simple, user friendly design that sets this label applicator above the competition. 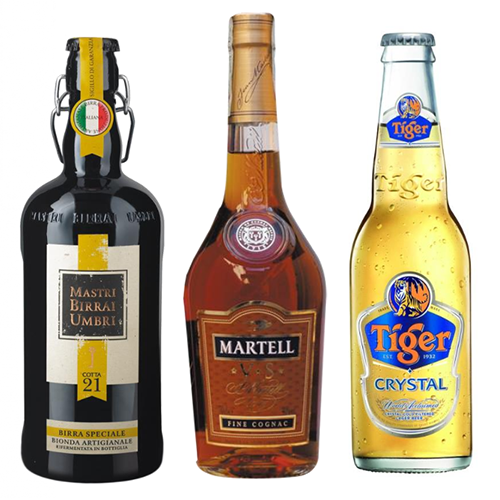 A brightly lit, touch-screen display offers a complete and easy user interface. 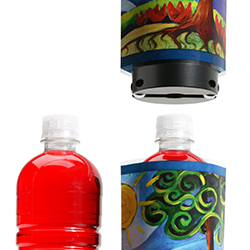 A change in background color from green to orange to red gives quick, highly visible applicator status. 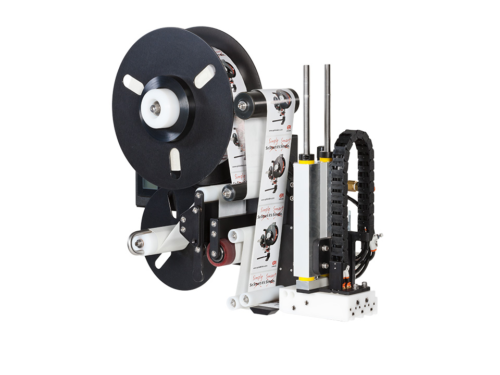 The standard model is a synchronous wipe-on labeler, while a Model ST1000 Tamp Label Applicator is available for applying labels to recessed areas, indexing lines and variable speed lines. 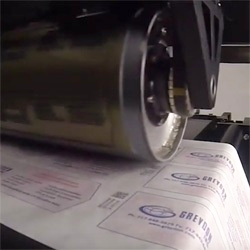 For non-contact labeling the ST1000 Blow-On Label Applicator is the perfect choice for spot or promotional labels. 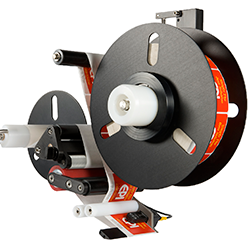 This model can accommodate most label shapes from .5” x .5” up to 4.5” x 4.5”, without the need for change parts. All models are constructed of anodized aluminum, providing protection from corrosive environments. With the ambidextrous LH and RH design, added flexibility is obtained and allows for changeover in the field. The simplistic design results in minimal downtime, easy fault diagnosis as well as minimal parts inventory. Speeds up to 1000" /min. High-Speed Labeling Systems for high-efficiency production lines. Industrial grade components are cleverly engineered into a compact, durable platform to provide 24/7 operation. 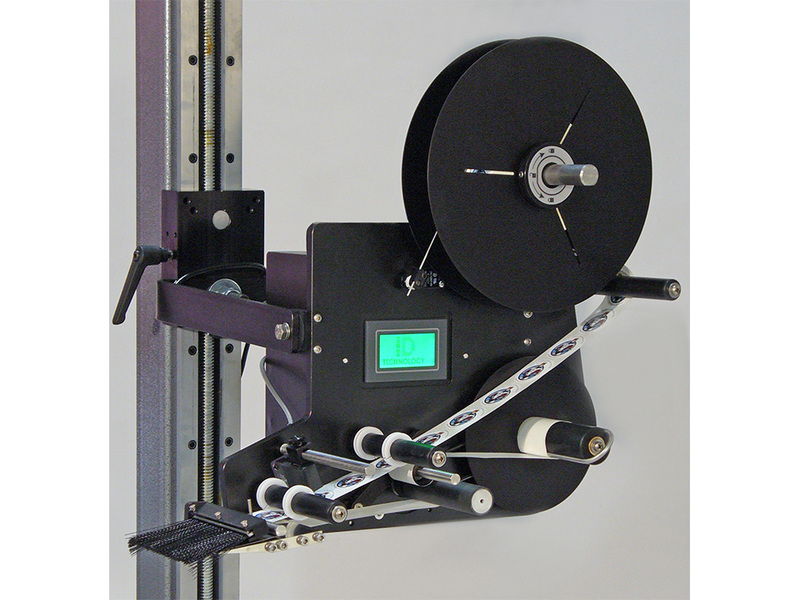 Custom designed labelers for flexible packaging applications.